If you’re a regular reader of Cooking With Janica, you know by now that I have a little bit of an ice cream obsession. However, you may not know that I also have a donut obsession. 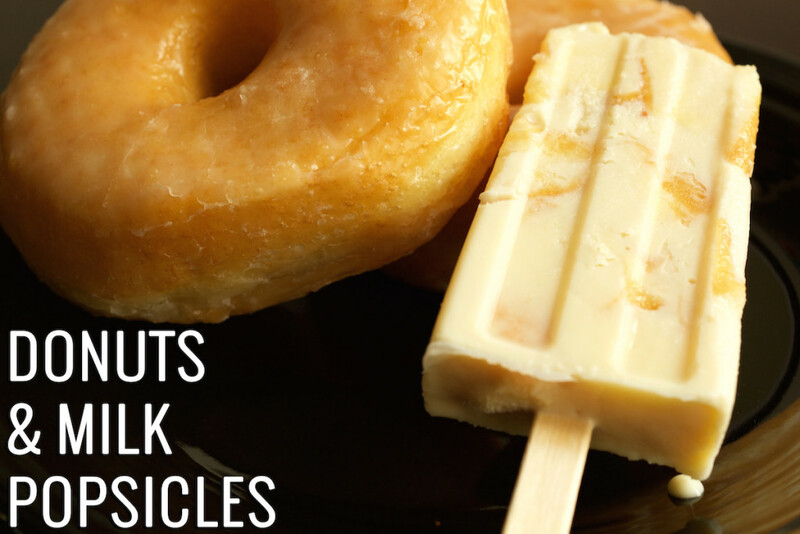 With these Donuts & Milk Popsicles, I tried to combine the two into an easy to eat treat. Everyone who taste tested the pops seemed to agree that I hit the nail right on the head! 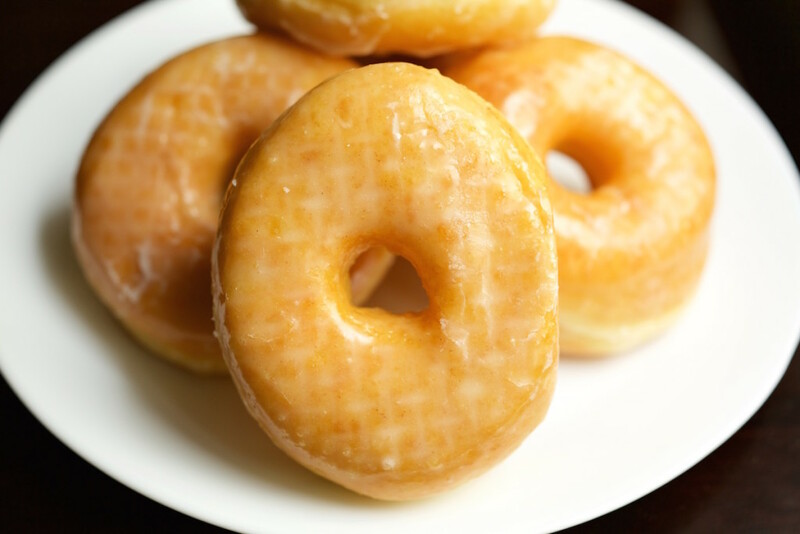 Of course you can use your own homemade or any store bought doughnuts for this recipe, but I knew I had to have the best and used some DK’s Doughnuts. Oh, you don’t know about DK’S? Well let me educate you! They have some magical creations such as the Double Decker Strawberry Creamsicle “ONut” (their term for a Cronut) and the “WOWNut”, a waffle/donut hybrid. While those and the cereal topped donuts are amazing, their original glazed donut is perfection. I wouldn’t dare make this recipe with anything else! Cut up the donuts into chunks. Put a few pieces on the bottom of each popsicle mold (I use this one). Insert the wooden stick. Loosely fill the rest of the empty space with your donut chunks. Combine your whole milk and condensed milk together in a microwave-safe bowl. Heat in the microwave just long enough for the condensed milk to dissolve and completely combine with the whole milk. Once fully combined, pour the mixture into the popsicle mold. Cover popsicle mold with lid. Freeze until solid, at least 6-8 hours. I usually freeze overnight. 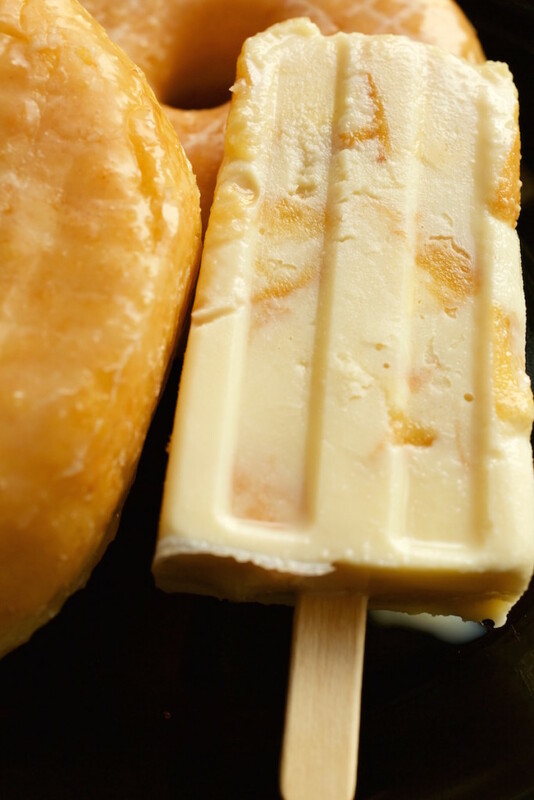 Once frozen, remove from popsicle molds and wrap in wax paper. Refreeze until ready to eat. I have an old donut maker that my Mom had. It’s red and white and has a plunger in the mdlide. The plunger is depressed and the batter comes out, dropped in the hot oil and you have a perfect donut. However I lost the box that the donut maker came in and so I don’t have the vanilla donut receipe that was on the back. Do you or your followers have that receipe. It was my very favorite receipe of all times.